He is the only one that can purge (cleanse, get rid of) our sins (through His blood on the cross). He is the only one that has sat down at the right hand of God (After His work was finished on the cross). Jesus is even better than the angels. He is described as ‘God the Father’s begotten Son”. In verse 6, Jesus is also described as “The first begotten”, being someone that was worshiped by ANGELS! In verse 7, we see that angels are different. They are MINISTERING SPIRITS. In verses 8-12, Jesus is compared to angels, in that, God has never told angels to “Sit on His right hand, until He makes their enemies their foot stool”. BUT, He HAS told Jesus this. Let’s look at verse 14, which says angels are ministering spirits, sent forth to minister for them who shall be heirs of salvation! Exciting isn’t it! So, if we just stopped at chapter ONE in HEBREWS, we would have learned a lot of important information so far! We learned WHO Jesus is (His importance), especially when comparing Him to “The Prophets in old times”, and “To Angels”. It get’s even better in Chapter 2 of Hebrews. Join me next time, as we continue our study in Hebrews, “The Old Covenant Verses The New Covenant”! Thanks,& God bless! Let’s learn together! I am a Pupil here as well! Drop me a comment, or share something in your heart about our study so far. I hope you read the previous blog. If you haven’t, please go back and read it, so that you can join us in learning about your level of concentration! 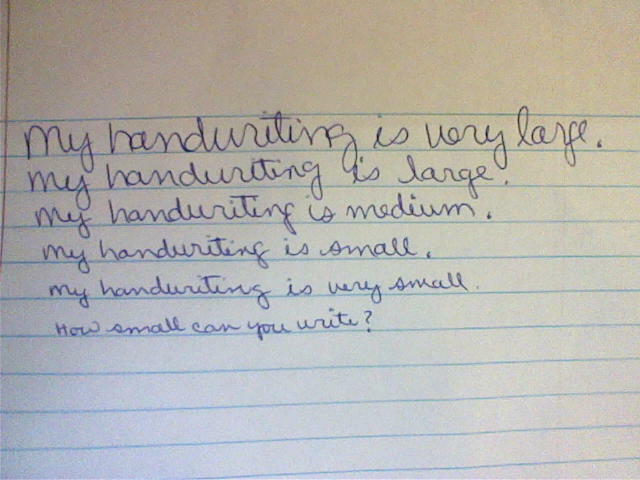 If your handwriting falls in the small category, you have the ability to center attention, to the exclusion of other interest (very good concentration). The standard height of ‘small’ handwriting is one-sixteenth of an inch-very small. 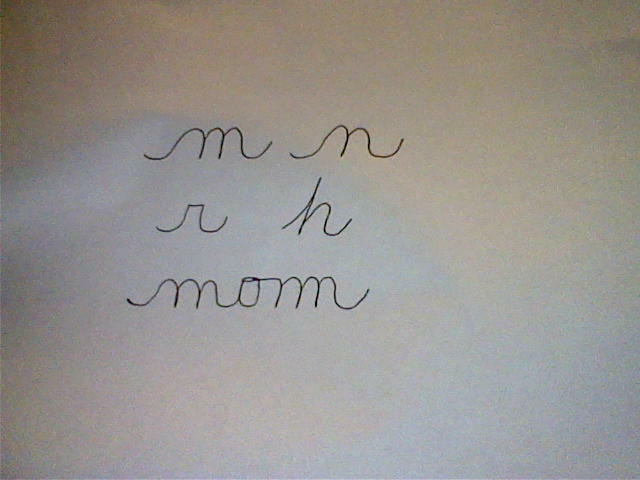 This intense concentration will effect all other traits in handwriting. Got a temper? The intensity of that temper will be greater. This writer will stay focused on the project at hand. He can shut out the world and concentrate on his work. This kind of writer will not have a wondering mind. He will come off as very reserved, quiet, not liking a lot of attention on himself. You can count on him to do well under pressure, and he will be sure to pay attention to details. They may seem non-social, and can stay quite busy alone. So, the very small writer is interesting, a little misunderstood, but usually very focused, and intelligent. On the other hand…if you have large handwriting, you are a lot more social, and your attentions will be more scattered to many things. Why have one project when you can have 5 going at one time! This writer likes to be around people, and likes attention. They really need to be appreciated, and loved by other people. They don’t feel comfortable alone. This person would hate a desk job, he likes to interact with others. These people don’t worry about the small stuff, they just go on to something else. Don’t ignore them-just love them! So the larger writer will have many interests, which can make for an interesting person. The medium writer I guess you would say, has the best of both worlds in a way. He can give a little more attention,but not intensely. I hope this has helped you in understanding yourself, and others a little more. If you have any questions, I will try and answer them if I can. Leave me a comment of how this has helped you! Thanks, and God bless! Remember, keep your chin up, and those t-bars higher! I leave you with Proverbs 22:4 “By humility and the fear of the Lord are riches and honor and life.” Amen! 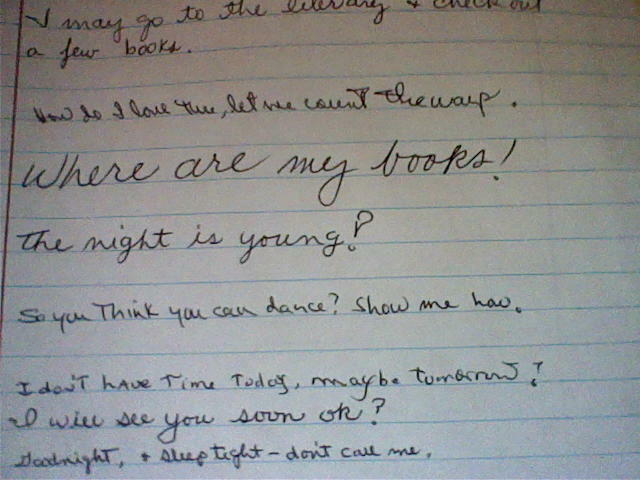 You will notice, that the top sentence of handwriting is larger than the bottom. Do you recognize your size handwriting, or that of your Spouse, or other family member? Let’s experiment. 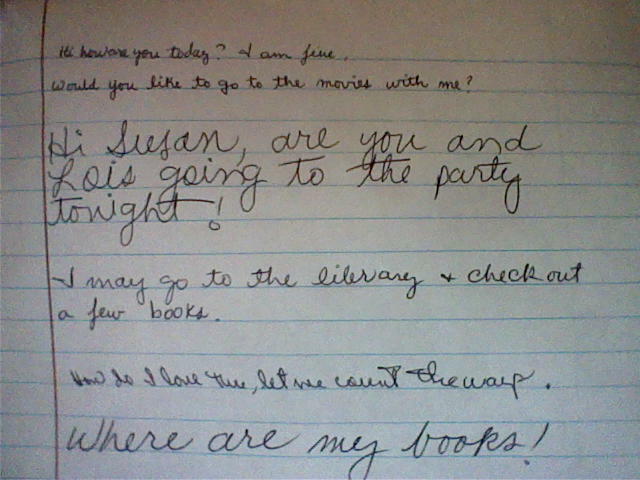 Write a few sentences on lined paper. Can you tell if your writing is large, medium or small? Now see how small you can write a sentence. Did you have to concentrate harder? Can you imagine yourself writing very small all the time? Try to write very large, and then medium. Which one feels more comfortable? 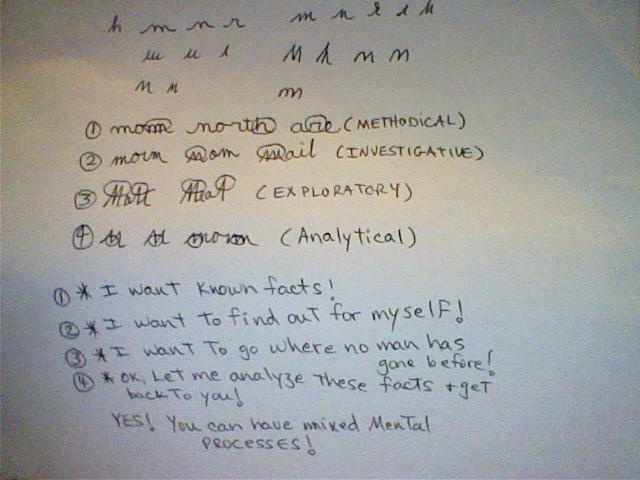 In my next blog I will be explaining what the difference is, in handwriting analysis. So stay tuned! I leave you with a bit of God’s wisdom from the Bible. 1 Peter 5:5 reads: “God resists the proud, but gives grace to the humble.” God bless!